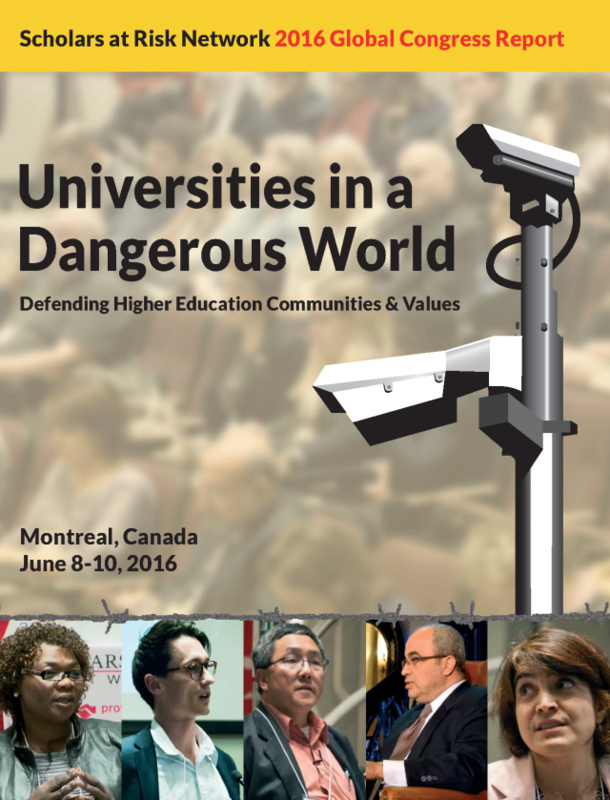 SAR is pleased to share the report of our eighth Global Congress, held June 7-10 in Montreal, Canada in partnership with the McGill Centre for Human Rights and Legal Pluralism, McGill Faculty of Law, and SAR Canada Section. More than 180 university and nonprofit leaders, faculty, staff, students and advocates from 37 countries came together to discuss seminal issues facing higher education today, including facing threats to physical security and core values on university campuses, supporting higher education in the refugee crisis, and promoting values in international partnerships. The Congress came at a crucial moment, when attacks on scholars are at record levels and more scholars than ever are reaching out to SAR for assistance (see page 7 for a visualization of the extraordinary increase in demand for SAR’s protection services). It was an inspiring event that left the SAR community feeling energized to help even more scholars, students, and universities in the coming year. We hope the report leaves you feeling the same, and invite your feedback.